At each home game for the next three seasons the Match Day Crew, ranging from ticket office staff, magazine sales staff and turnstile operators will wear fleeces, rainwear, hi-viz vests and hats thanks to the generous support received from Buchan Wealth Management. This is the first time such a deal has been in place at the club. 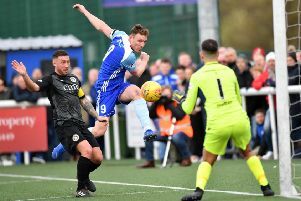 Alastair Buchan, Director of Buchan Wealth Management said: “As a local business with an office in Peterhead, Buchan Wealth Management are delighted to be involved in the sponsorship of Peterhead Football Club’s Match Day Crew. 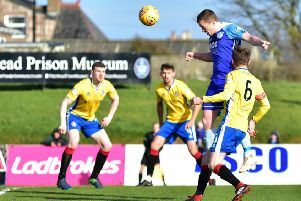 Martin Johnston, General Manager of Peterhead FC said: “We are delighted that Buchan Wealth Management have come on board with this sponsorship deal. “There are a number of additional ‘teams’ working at Balmoor Stadium on a match day other than just the one on the pitch. “Everyone works fantastically hard for the club and the Match Day Crew will look resplendent in their new workwear thanks to this deal.